With the regular season winding down, teams continue to jockey for position for the upcoming bowl season. Some teams like LSU are trying to secure a spot in the BCS title game, while others are just trying to win enough game to become bowl eligible. A good number of the teams in that latter group reside in the mid-major conferences, where each week there are always some solid plays on a few of these ‘under the radar’ games. Last week we made a clean-sweep on all three of our picks with Tulane covering as a 24-point road underdog against SMU, UL-Monroe covering against UL-Lafayette as a five-point road underdog, and Louisiana Tech getting the straight-up win as a three-point road dog. We are back at it early this week, digging through the Week 11 mid-major schedule and uncovered three more solid college football picks for you to consider. Last week we loved Tulane to cover a huge spread, but that was against SMU, not Houston. The Cougars are quietly putting together one of the best seasons in the program’s history behind the No.1 passing and scoring offense in the nation. 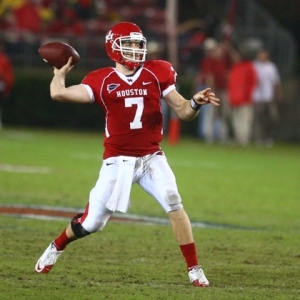 Quarterback Case Keenum is making a strong case for some serious Heisman Trophy consideration. The Green Wave have now lost seven straight games after last week’s 45-24 loss to the Mustangs. They are ranked 111th in the country in points allowed, giving-up an average of 36 points a game. Houston will probably put that many up in the first half. Houston is 8-0 ATS in the last eight meetings overall and 4-0 ATS in its last four trips to Tulane. This one will get ugly in a hurry as the Cougars continue to do whatever they can to keep moving up the ladder in the BCS rankings. It has been a rough year for the Owls with eight-straight losses. The closest they have come to actually winning a game was a 37-34 loss to UL-Lafayette on Oct.1 as seven-point road underdogs. It was also just one of the two games where they covered the spread. The Golden Panther’s 10-9 loss to Western Kentucky this past Saturday as three-point road favorites, was their second in their last three games to drop them to 5-4 SU on the year. With three games left, FIU needs as many impressive wins as possible to enhance its position for a more prestigious bowl-game bid. Florida Atlantic has won the last five meetings both SU and ATS, but that was then and this now. In an in-state, conference matchup such as this, one team usually takes tremendous pleasure in kicking the other when it is down, especially if that team happened to beat you five times in a row. UCF has lost three of its last four games to fall to 4-5 SU on the year and it needs two wins in its last three games to qualify for a bowl game. It is coming off a disappointing 24-17 loss to Tulsa as a two-point home favorite that pretty much ended any shot at winning the Conference-USA East Division. The Golden Eagles have been head-and-shoulders above the C-USA competition this season ever since a fluky 26-20 loss to Marshall as 7.5-point road favorites in Week 2. They have reeled-off seven straight victories since then and are currently 8-1 SU overall. 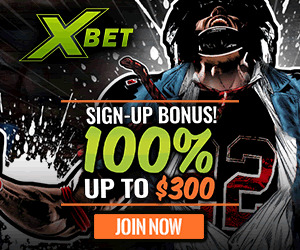 Southern Miss is 5-1 SU in the last six meetings and the series is tied 3-3 ATS. Last season it won 31-21 as a 10.5-point road underdog and the gap between the two teams has continued to widen ever since.